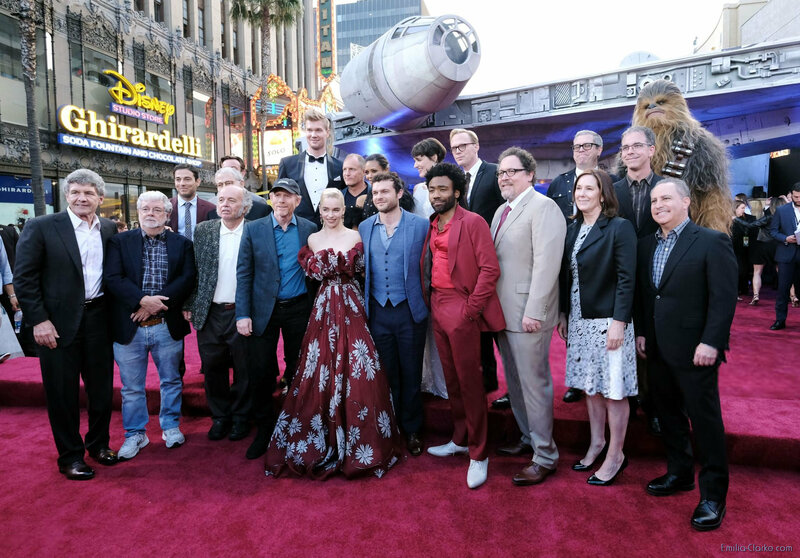 Last night, “Solo: A Star Wars Story”, the long awaited Han Solo anthology film, premiered in LA. 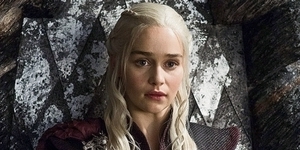 Emilia appeared with her cast and production team, including Alden Ehrenreich, Donald Glover, Woody Harrelson, Thandie Newton, Phoebe Waller-Bridge, Joonas Suotamo, Ron Howard, George Lucas, and many more. She looked stunning in a crimson Valentino gown with white daisies.